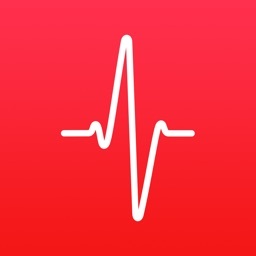 Cardiograph is a fast and reliable way to measure your heart rate on iPhone and iPad. 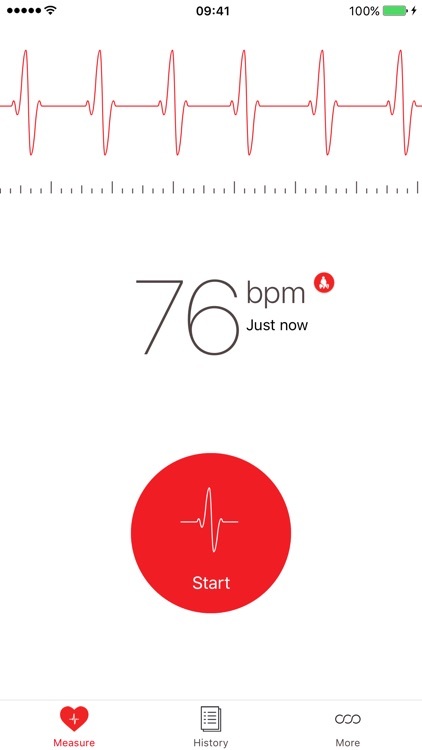 Using only your device’s built-in camera — with no additional hardware required — allows you to keep track of your heart’s rhythm anywhere and at any time. 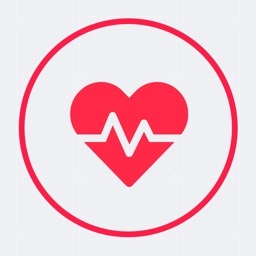 The detailed history records and ability to sync, tag, share and print individual measurements make it a versatile tool for monitoring your cardiovascular health. 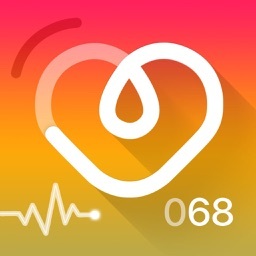 Having a quick and easy way to know how fast your heart is beating has many uses — from improving your exercise regime to keeping regular track of your heart’s condition, or even just for fun. 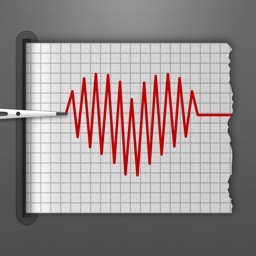 Cardiograph makes that easy, with precise results that appear within a few seconds. 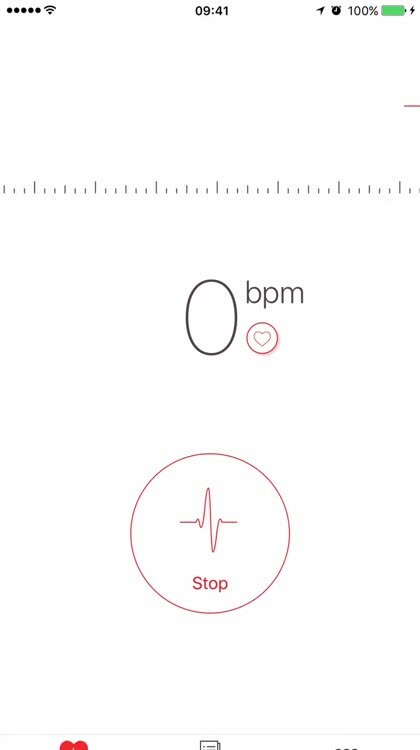 The minimalistic and intuitive design shows you everything at a glance and makes Cardiograph approachable and easy to use for everyone. 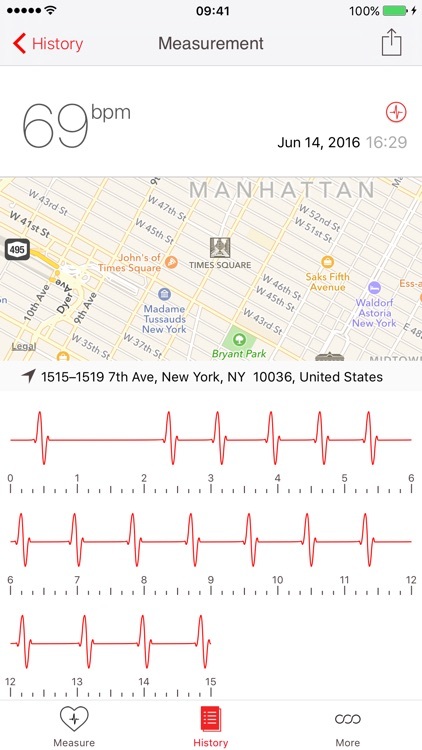 Save your measurements (including every individual heartbeat!) for future reference or for sharing with your family or health care professional. 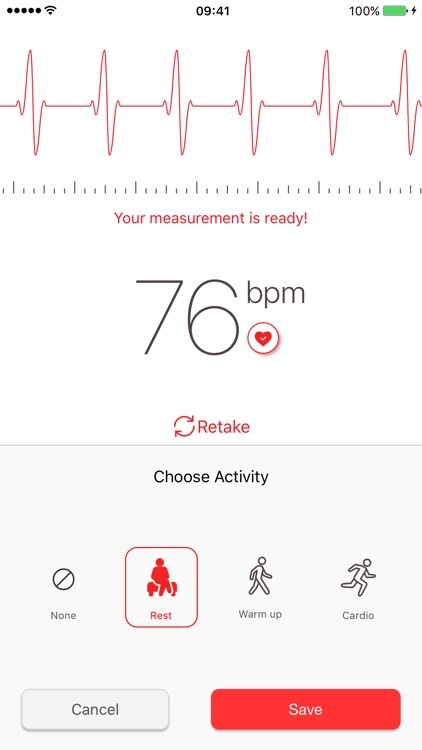 You can also add a label to each measurement depending on the intensity of your exercise or your activity level. Each measurement can be shared, exported as a PDF file and even printed on paper directly from within the app. 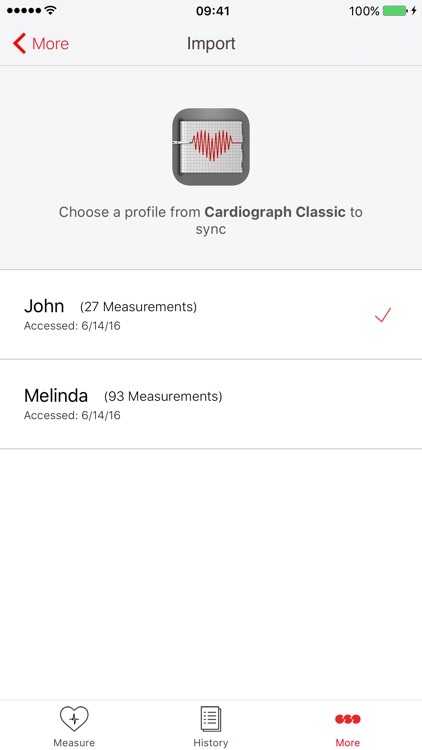 If you have our previous app, Cardiograph Classic, you can transfer all of your measurements to the new app with a couple of taps. 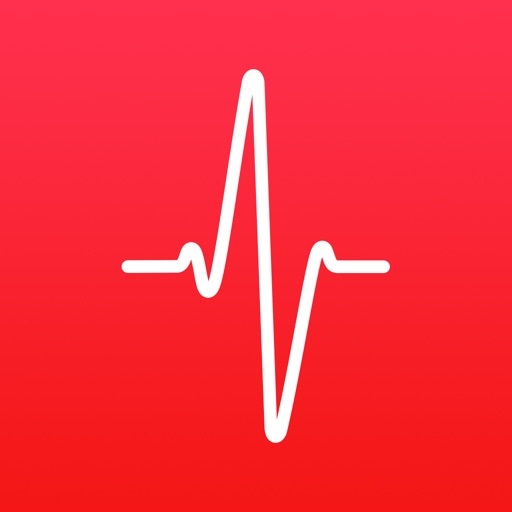 Cardiograph is a native app that takes advantage of the iPhone & iPad’s distinctive features like the excellent cameras, 3D Touch (where available) and support for syncing with the Apple Health app (where available). 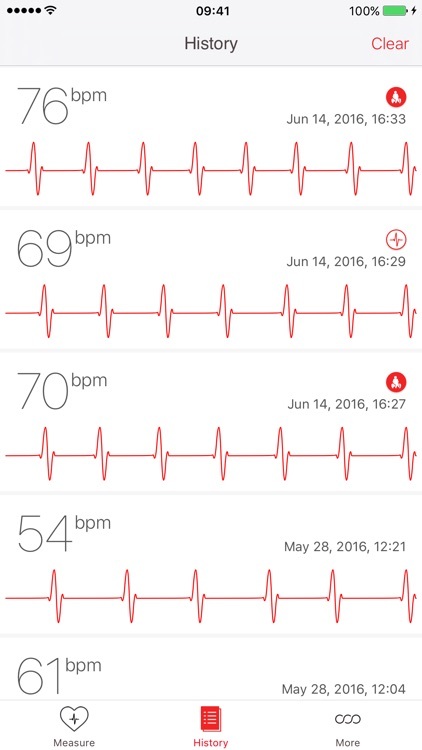 IMPORTANT: This application, although sufficiently accurate, is not meant as a replacement for professional medical equipment and qualified care. If you have any concerns about your heart’s condition, please consult your physician or general practitioner. 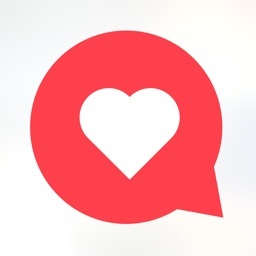 If you’re having issues with Cardiograph, check out the “More” section within the app or contact us at our support e-mail and we’ll help you out. 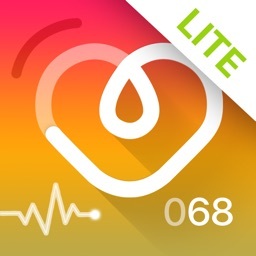 Today’s AppsGoneFree list includes a reference app, an arcade racer, and a health app.